LOOVE that quote, and it's so true. Thanks for sharing your story with your readers. Letting God rebuild, replacing parental or society's philosophies, can lead one to experience purpose, freedom and peace. Great quote - I so admire the ability to see things this way. 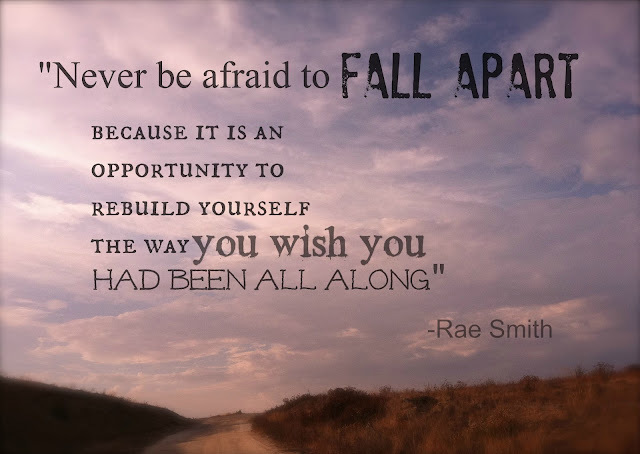 Have you read "When Things Fall Apart" by Pema Chodron? so so SO true, but so so SO hard to learn.